Seven thousand, four hundred and thirteen was the magic number that earned sophomore mutlis competitor Tyler Brendel a spot on the third tier of the podium at the Pac-12 Combined Events Championships this weekend. As Brendel made his way to Corvallis, Oregon, 87 people were missing — the rest of his teammates. Brendel was the only Bear to compete in the Combined Championships, but his workload made up for the absence of his team. The decathlon is physically demanding, as participants only have a limited amount of time in between the 10 events to recover. Brendel took first in the 110-meter hurdle and took second in the 100-meter and 1500-meter events. Ultimately, his overall score meant more than wins in the individual events. In Brendel’s freshman debut at the Pac-12 Combined Championships last year, he came in ninth, accumulating only 6,932 points. The immense improvement between his two outings not only showed steady improvement from his rookie season, but also hints at a very bright future for the multis competitor. 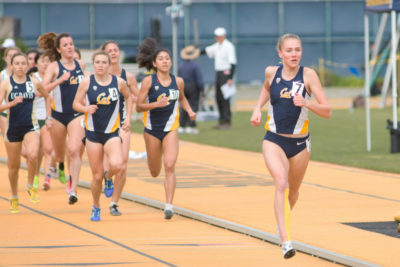 While Brendel was competing at OSU, six female athletes represented Cal in Sacramento at the Sacramento Open in a last-ditch effort to produce nationally ranked marks before the Pac-12 Championships. Four Bears competed in the 800 meters events and two competed in the high jump, but ultimately none of the athletes would perform strongly enough to crack the leaderboards. Senior Katherine Haysbert produced the event-winning time of 2:09.99 in the 800 meters, also recording a career-best record. Haysbert shaved close to three seconds off of her previous season high, but her performance was still not enough to break the top-95 in the country. Regardless of national standing, the senior’s PR still serves as a high note to the end of her last regular season meet as a Bear. Fellow senior Georgia Bell took second in the event with a time of 2:10.97, finishing less than a second behind her teammate Haysbert. But once again, the time was not fast enough to boost Bell into the national rankings. Junior Nuria Tio Peig took third in the event with a time of 2:11.52 and freshman Ariane Arndt took fifth with a time of 2:14.74. High jumper senior Christine Canning took second in her event with a mark of 1.66 meters, but her performance, like that of her teammates, was not good enough to contest the top marks in the nation. Junior Asia Chesley took fourth in the event with a mark of 1.61 meters. 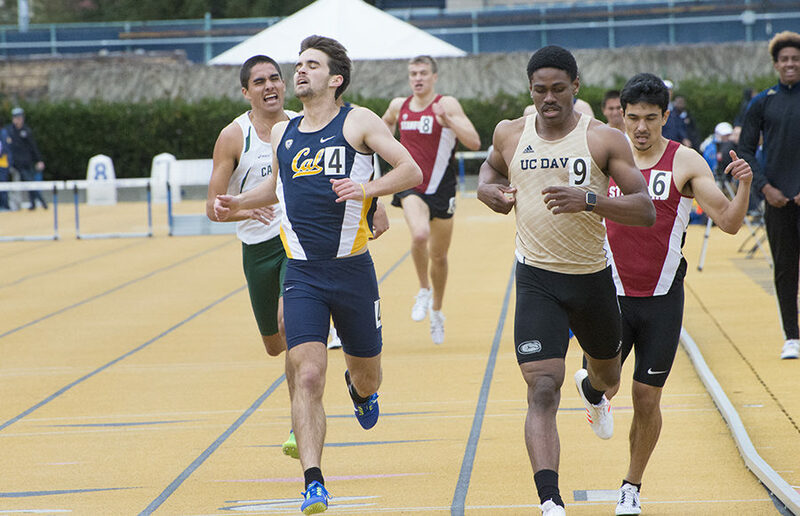 The weekend offered two different types of meets for the Bears — one championship event and one qualifying event. Ultimately, Brendel was the superstar of the weekend, earning a podium finish against a very competitive Pac-12 conference. The rest of the team that did not compete this weekend will be back in action in a week as they head to Eugene, Oregon, for the Pac-12 Championships. Christie Aguilar covers track and field. Contact her at [email protected].